These are my shoes, one of my favorite pairs. They fit me well. I have had them for a while now. They have formed to the nuances of my body and the way that I move. I really enjoy these shoes. They have been through a lot with me. Even though they are one of my favorite pairs, what I experience while in them is not always enjoyable. You see these are my work out shoes. I have walked miles with them on a treadmill. I have done hundreds of swats and lunges in them. 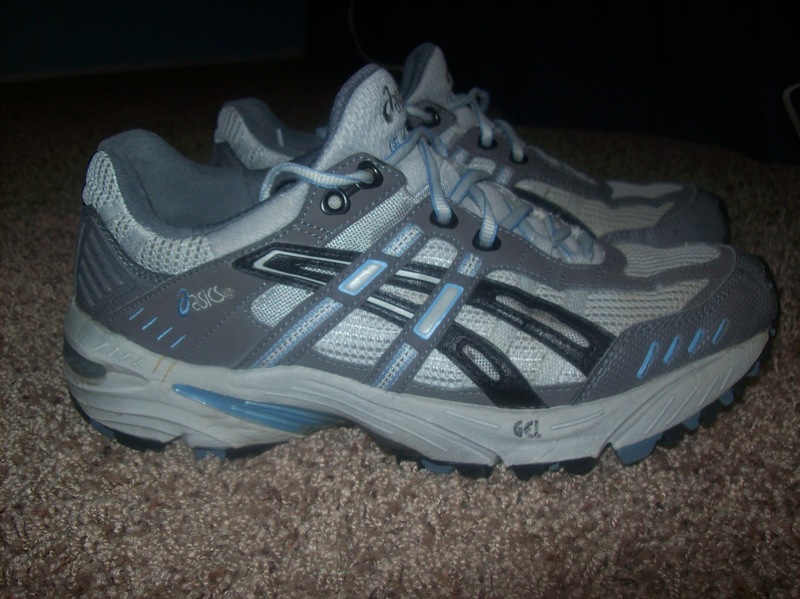 I have run a 5k in these shoes. Some days I have worn them while doing my daily household chores. I take care of them and they help me to take care of me. Because these shoes belong to me to wear myself, they are my size, nine and a half. Perhaps you generally purchase the same size shoe as me, maybe they would seem to fit you at first. But, would they feel right? 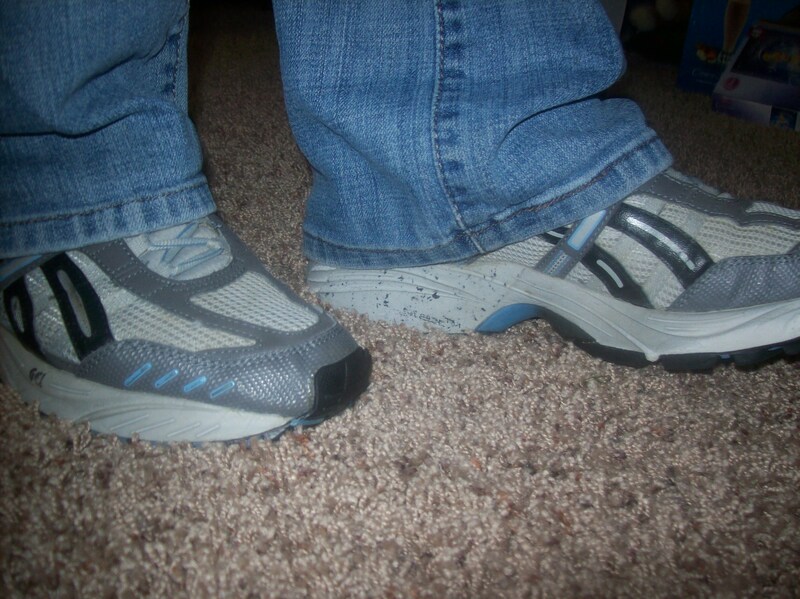 The build and shape of my body affects how I feel in these shoes. They have been worn through the actions and work that I have been through with them. My experiences are molded into their soles and padding. Even if we were the same size, they probably wouldn’t feel for you how they feel for me. Here is the funny thing about shoes, only one person can wear them at a time. This is me in my shoes. No matter how much you would like to wear them for me, to do the tasks and perform the activities in my life, while I am wearing them, you can not wear them. You may be more experienced than I in a certain area, you may have walked this path before me making you aware of loose rocks ahead, and you may love me so much that you would want to spare me from the emotional and physical effects of pressing on, but while I am in them you just can not do that. I wear these shoes to walk the path before me, to press on and run the race to which I have been called (Philippians 3:14 NIV). I have absolutely no idea what lies before me in my path. I do not know what today will hold and I do not know what tomorrow will bring. I like to think that I have a fairly good idea by looking at my calendar of upcoming events and projects, but in reality I really do not know. If I were to turn around momentarily and look back at the path I have been on all of the years of my life, there are so many things that came about unexpectedly. There were joys sweeter beyond my wildest imaginings. There were struggles where I thought my path had potentially neared its end. There were great canyons that I never thought I would get to the other side of. Somehow, all of the experience and the wisdom acquired from it, will help me on my path moving forward. Am I proclaiming to have it all figured out? Absolutely not! But the hills I have climbed before were training for the mountains that may lie ahead. The times I stumbled before taught me lessons which I use moving forward. The trying times of the past will help me to persevere in the future. Now you may not be able to get into my shoes and walk my path for me, but you are certainly welcome to walk along side of me for a while. There seems to always be a bit more of a bounce in my step when there is someone along for the journey. I can not get into your shoes and walk along your path, but I can be there to walk along your side. I can also stop for a rest with you or take on great challenges or perhaps even be a spotter for a portion of your climb. I will never be able to know what your path has felt like, what muscles have been developed along your journey and the details of the scars that you have acquired along the way. I do know that you and I have never had a moment alone on our paths. It may have felt like we were abandoned in the wilderness, but we were never alone. He is there for every step. When you look ahead of you on your path what do you see? Think about it for just a moment, in the journey of your life what lies ahead of you? Does it feel as if you are standing on the base of a great mountain range with gray cloud covered and craggy peaks at seemingly impossible slopes. Is the path winding and curving its way right into a deep forest where it looks as if it just disappears and pressing on seems scary. Perhaps it feels as if you are at a cliff with no railing and a queasy feeling of the magnitude of the height upon which you stand. Maybe the path is near the banks of a babbling brook carrying its refreshing sounds as it runs through trees and plays with the animals all around it. Could it be that your path has led you to a daisy covered prairie where flowers dance in the breeze and just being there causes your heart to smile. Whatever it may feel like to us, we can rest assured that we are not alone. The Lord is always with us and will always be our guide. We can not find a better guide than the Lord. His experience is robust and diverse. His strength is solid and unending. His wisdom and knowledge are perfect. He knows all that was and is and is to come. “Your word is a lamp for my feet, a light on my path.” Psalm 119:105 NIV. The Lord will light the way. “In all your ways submit to Him, and he will make your paths straight.” Proverbs 3:6 NIV. The Lord can demolish even the greatest of roadblocks. He can also get us around them, over them, out from under them and through them. “In their hearts humans plan their course, but the Lord establishes their steps.” Proverbs 16:9 NIV. When we are completely lost and off course, or when we think we know where we are going but end up at the wrong destination, the Lord is sure to provide the steps needed for us to take. I am so grateful to be able to share my journey, at least little bits and pieces of it, with you. 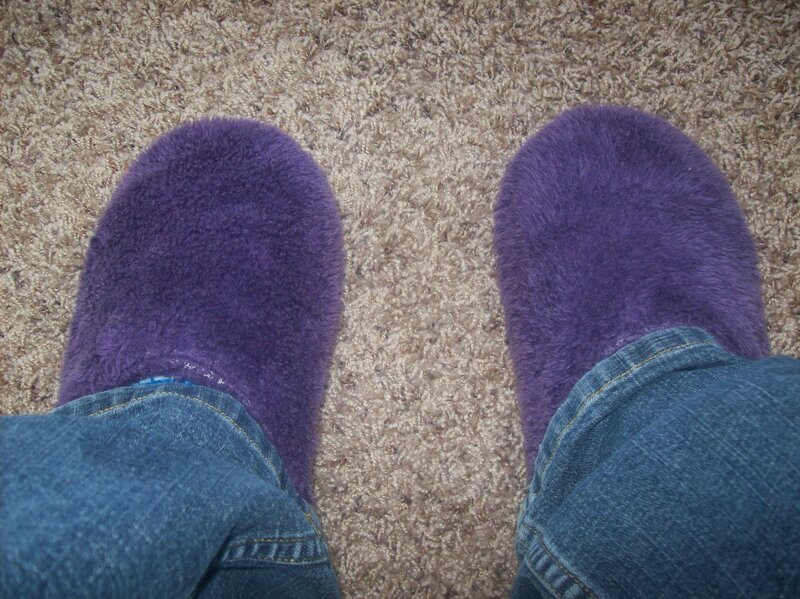 I hope it makes you smile to know that as I am writing these words today, I find my journey softened by my fuzzy purple slippers. Know that I am smiling just because I had the opportunity to share this time with you. Thank You so much for the steps in our paths that brought us together through these writings. What a huge blessing to me God, of which I am totally unworthy. Lord, if You could find it in Your abundant generosity, could the steps of my life and the words that illustrate my path be a blessing to another traveler on their journey. Thank You ever so greatly for all of the guidance that You provide. Thank you for being that hand to reach out to, the spotter whose scope of vision is infinitely wider than our own and for faithfully being ever present. What gifts! As we look toward a new year and towards what lies before us, please help us to turn to You for wisdom, advise and experience. May we feel refreshed though we may walk through a desert. May we feel strength in our frames when we have been pushing in a straining upward climb. May we feel as renewed as a well watered garden. May the things we see along the way captivate us with Your glories. May we be ever grateful for the footwear that You provide for our paths. In Jesus’ delightful name, amen. Very Good Julie! I am trying to catch up on my readings and this was a great one!